Prospective farmers in West Clare have been given a boost, with news that a new training initiative is being piloted there. 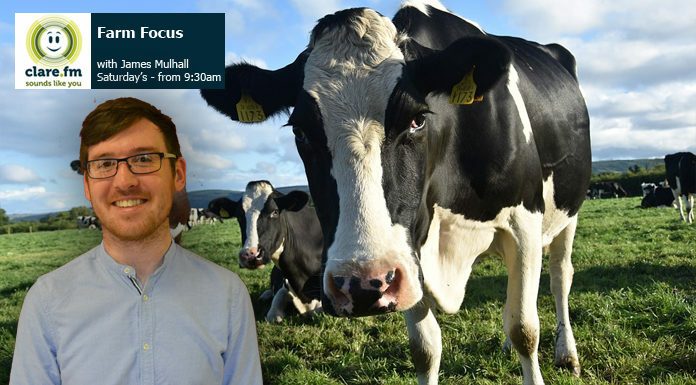 On this week’s Farm Focus podcast, Mike Ryan from the Limerick and Clare Education and Training Board joins us to talk about their new programme (11:16). This programme is starting up in Kilrush and aims to give farmers a bit of training to help them out and, hopefully, create some jobs. Also this week, Kieran Harvey of the Ennis branch of Macra na Feirme spoke to us ahead of heading down to Kilkenny to participate in the 2019 edition of Mr Personality – a Rose of Tralee type competition for young farming men across the country (15:39). Unfortunately, Kieran was pipped at the post by a Kerryman but he certainly did the Banner proud on the night! And as usual, Teagasc is on hand for their weekly advice slot – this time, it was the turn of Wendy Conlon, who has plenty of advice for those keeping horses (from 1:08). Get in touch! Have you a story to share? Email [email protected] and let us know.